Thaddeus J. Grabowy, MD specializes in Internal Medicine and Gastroenterology. Dr. Grabowy is a graduate of Rutgers University and UMDNJ New Jersey Medical School. He completed his internship and Residency at George Washington University Medical Center, Washington, DC. Dr. Grabowy completed a Fellowship in Gastroenterology at St. Vincent's Hospital Medical Center, NYC. He is Board Certified in Internal Medicine and Gastroenterology. Dr. Grabowy is an attending physician at Riverview Medical Center. Dr. Grabowy specializes in Gastroenterology, Liver Disease and Endoscopic Procedures. He is a member of the American Gastroenterology Association and the American College of Gastroenterology. He also practices at the Advanced Endoscopy Center in Eatontown, NJ for outpatient gastroenterology procedures. 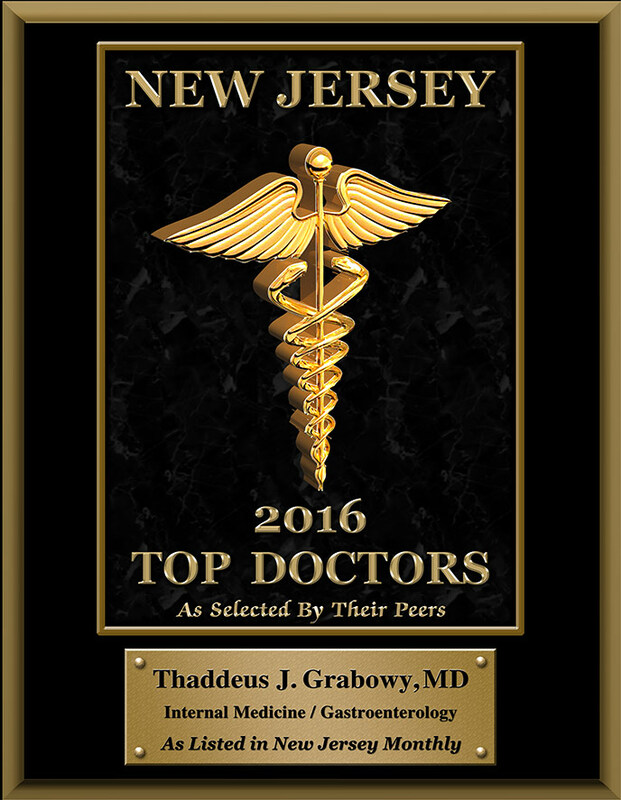 Dr. Grabowy is one of New Jersey’s Top Docs for 2013, 2014, 2015 and 2016!